The only U.S. national park south of the equator is the National Park of American Samoa. Located in the Pacific Ocean, the park is made up of three volcanic, mountainous islands. The islands are rich with tropical rainforests, beaches, cliffs, coral reefs and Samoan culture. One of the best ways to learn about the culture and way of life of the American Samoans is to participate in the home stay program. Tradition is deeply ingrained in the Samoan way of life. Many host families participate in the program; fees differ depending on the family, location and accommodations. Home stay visits are filled with memorable experiences: learn how to dry and paint the bark of a mulberry tree, tend gardens, climb trees to gather food, or catch fish with palm fronds. It is important to learn a little bit about theetiquette of the Samoan people before embarking on your home stay experience. For example, it is proper etiquette in a traditional home — or fale — to sit down before you talk, eat or drink. 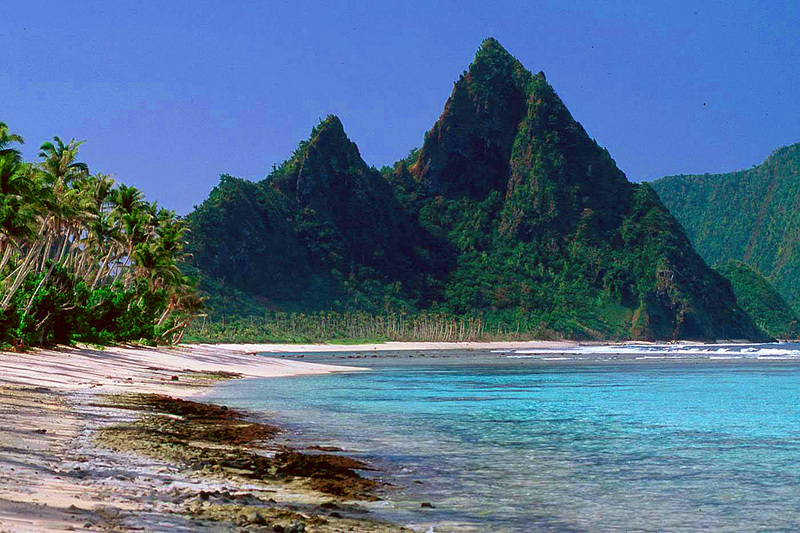 The National Park of American Samoa is home to some of the world’s most beautiful beaches. Snorkeling is a great way to experience the island’s coral reefs and marine life up-close. Ofu and Olosega are two of the best snorkeling spots in the park. Samoans are very modest when it comes to clothing, so be sure to wear shorts and a shirt over your swimsuit. Hiking and beach walking are also popular park activities. There is a hiking trail along the maintenance road that leads to the 1,610-foot summit of Mount Alava, giving visitors a bird’s-eye view of Pago Pago and the harbor. The beginning of the trail is located at Fagasa Pass, just west of Pago Pago. There are two short walks that lead to the Breaker’s Point and Blunt’s Point gun emplacement sites, which are historic World War II sites. There are no fees or reservations needed to visit the park. The visitor center, located in Pago Pago, open during the week from 8 a.m. to 4:30 p.m.
All who enter the park must pass through American Samoa Immigration and Customs, since travel to the American Samoa is considered international travel. Passports are needed for travel between American Samoa the United States. The duty-free allowance for goods purchased in American Samoa is $800. Camping is not allowed in the park. Lodging is available on all the islands except Olosega. On Ta’u, homestay lodging is the only lodging available. Visitors should keep in mind that there are no restaurants on the outer islands, just a few small convenience stores. Tutuila, the largest island, offers plenty of restaurants with options ranging from fast-food to fine dining. Most of the fruit-bearing trees in the rain forests of American Samoa are pollinated by mammals like flying foxes and fruit bats. In contrast, the forests of Hawaii are mainly pollinated by nectar-seeking birds and insects. The park’s only native mammals are three bat species; forest birds, reef fishes and corals are more prominent. It is believed that close to 1,000 different fish species inhabit the park’s waters. This is about two times the number of fish that swim Hawaii’s waters. Fishing and farming in American Samoa are limited to subsistence levels for villagers. No commercial fishing is allowed. It is believed that humans first stepped foot on these islands about 3,000 years ago. Polynesia’s oldest culture, most of American Samoa’s inhabitants are indigenous to the islands. Only about 1,000 people are immigrants to the islands. The islands became American territory in 1911, and played an important role in World Word II, when the number of U.S. marines on the island outnumbered the local population. In order to protect and preserve the American Samoa, the park was established on Oct. 31, 1988. At first, the National Park Service encountered some issues when purchasing the land because of the island’s traditional communal land system, but the issue was resolved when the National Park Service and the Samoan village councils agreed on a 50-year lease of the land. 2002 – Congress approves a 30 percent expansion of park lands on Olosega and Ofu Islands. 2009 – A tsunami hits the islands, resulting in 32 deaths and significant damage to the park. Click to see Samoa Islands map. Click to see a detailed Tutuila Island map. Click to see a detailed Manu'a Islands map.